inst present loc 1927 W.L. Roberts. 1m, 8spst, 2c, tr & tub.pn. Lower North Adelaide in 1852 was not regarded very highly. The first nucleus of settlement on the north bank of the River Torrens had centred on Kermode Street to the west. 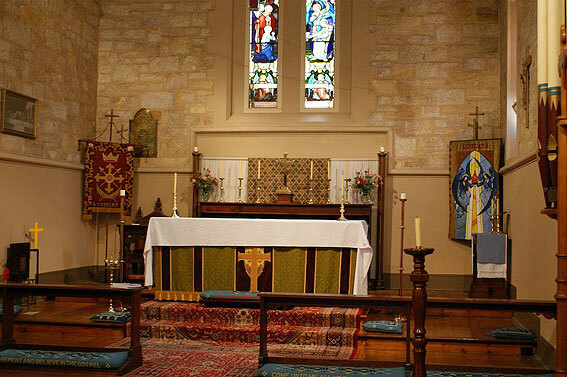 The population to the east, in Irish or German Town, was regarded as “poor ignorant miscellaneous and fluctuating”, while the area was noted for rags, filth and vermin.1 From the parish of Christ Church, formed in 1849, a Sunday School was established in Lower North Adelaide with the appointment of lay readers by 27 April 1851. 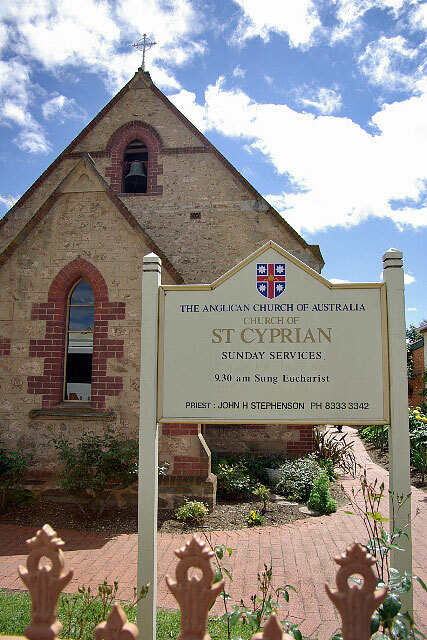 In 1872, the present site of St Cyprian’s was purchased and 10 years later the foundation stone laid. 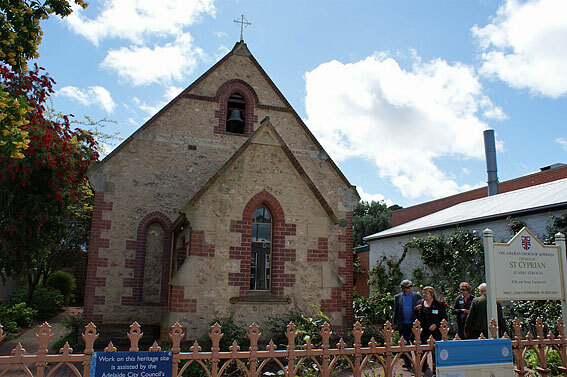 Called the Mission School Church it was inaugurated on 11 February 1883 by Bishop Kennion. 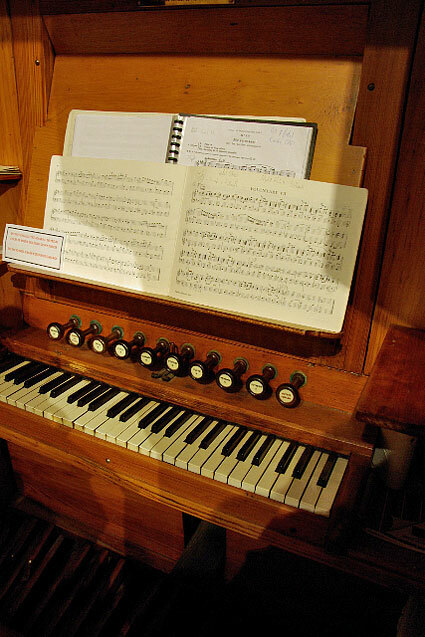 It would seem at this point at least the pedal board was of 12 notes and the front pipes were speaking pipes. 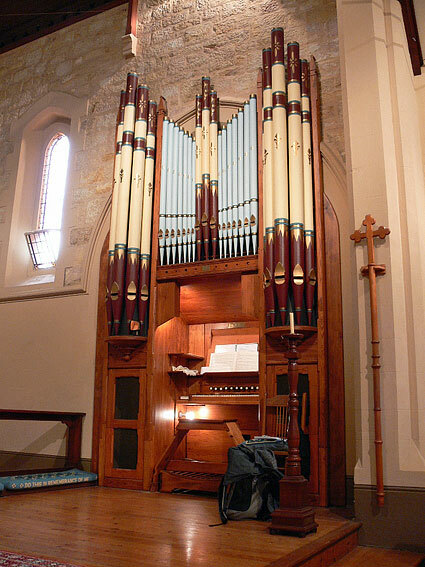 By 1980, the stencilled pipes had been painted over and were non-speaking; there was also a full pedal board of 30 notes, clearly added. 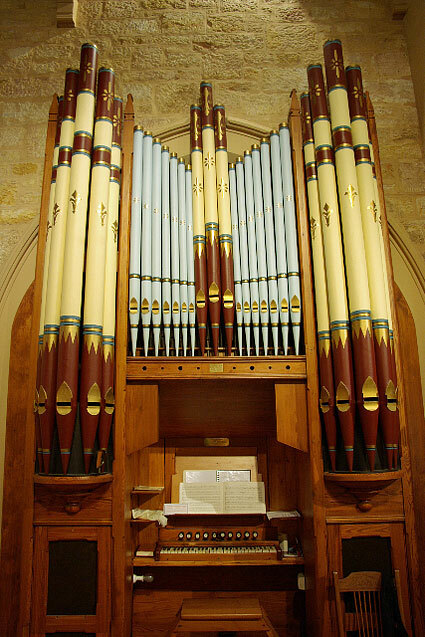 Stiller also noted the diversity of stopper shapes and suggested Rendall may have built the instrument from second-hand pipes. 2 Register, 28 February 1927, p. 11.6. The date of 1889 given in the Church Booklet op.cit. p.8 would appear to be an error based on information provided to Enid Matthews by W.L. 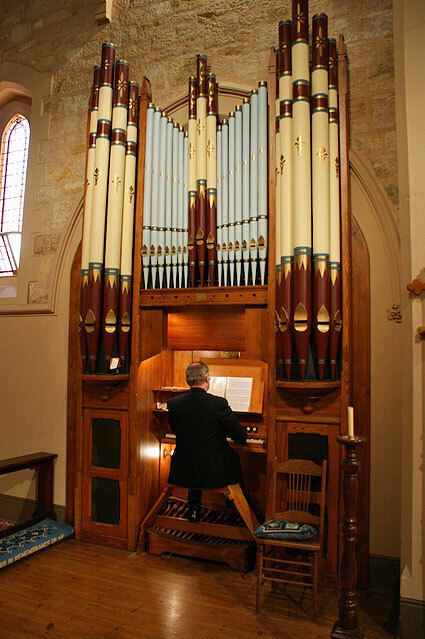 Roberts: Matthews, E.N., Colonial Organs and Organ Builders (1969), p.193 - note 6 letter Mr Roberts to author 5 September 1965. 4 Further research is needed to ascertain its acquisition by Holy Trinity. 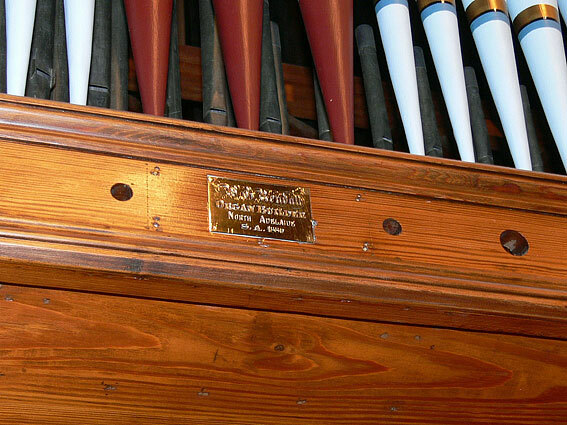 However, through 1881 into 1882 Rendall was working on the Brougham Place instrument. Arthur Hobday clearly thought Rendall was disheartened and would not last long in the profession: Fincham & Hobday letters 12/37 (30 December 1881); ibid., 12/41 24 (January 1882): Hobday to Fincham (transcription (incomplete) by Ronald G. Newton 1994). Information re builders plate supplied Ralph Holden 9 May 2009. See section under Marananga re Rendall. outh Australia (unpublished thesis M Mus University of Adelaide, 1973), p.255, is quoting from Dodd Letter Books 1888-1898 pp.18, 19 and 20. Unfortunately these books are unavailable and therefore have not been transcribed. 7 Music (May 1897), p.10.